Do you just want to fall asleep easily and stay asleep? People are getting less and less sleep these days. The normal 8 hour night, has turned into an average of 6 to 7 hours. We are not only going to bed tired, but we are often waking up tired. For many of us, out bodies are simply not getting enough rest to recharge for the next day. Himalayan sea salt and honey just might change this for us! I don’t have many issues with falling asleep but staying asleep is a different story. I sometimes wake up feeling more tired than I went to bed, like I was working all night in my sleep or something. Recently I read an article on Himalayan salt for sleep by adding one ingredient to it before bedtime. It’s now a part of my nightly ritual with brushing my teeth. So Why Himalayan Sea Salt and Honey Combination? Himalayan Sea salt if one of the purest forms of salt on the planet. It’s all natural, and has not been processed or had chemicals added for non clumping purposes. It’ has 80 minerals in it that have not been altered by any chemical processing. Regular table salt is heated to 1200 degrees. This himalayan salt helps lower stress hormones and balance acidity and alkalinity (cause of inflamation). We wake up at night because our adrenaline spikes. The salt helps control this. 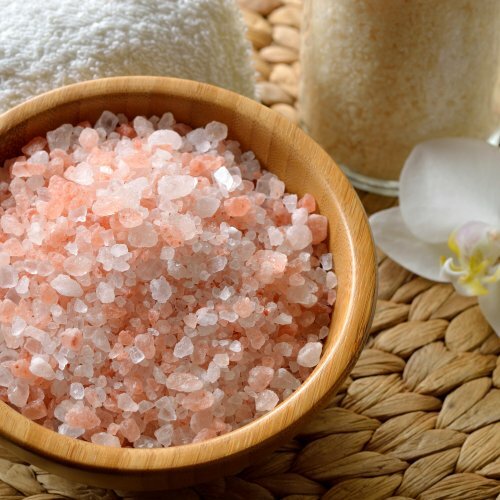 Himalayan salt for sleep also regulates serotonin and melatonin. You may actually wake up happier. Some use this as a natural aid for depression. Many already know that honey helps with sleep. You need to use organic raw honey by the way. It is more expensive, but trust me, you want to invest into this. Despite honey being sweet, it does not cause blood sugar spikes. Honey helps the body product liver glycogen, a substance your brain needs for energy. You brain needs energy when you sleep, and if you brain doesn’t have that energy, it can’t get rid of the adrenaline that wakes you up or the stress hormone cortisol. I have been using Himalayan Sea Salt and honey for two months now before I got to bed. I dreamed of puppies and kittens the first night, no joke. I was also better able to remember my dreams upon waking. They are crystal clear when I wake up first thing in the morning. I do feel more alert as well. I work from home as a blogger and sometimes mornings are my toughest time. I have churned out blog posts first thing in the morning, and trust me, that just doesn’t happen often with me. I won’t be going to bed without my himalayan sea salt and honey concoction again. I can tell the difference when I don’t take my salt and honey bedtime tonic. You will need 5 parts honey to 1 part Himalayan sea salt. Make sure the honey is raw and organic and your himalayan sea salt is fine ground. It might take a while for course ground to dissolve and I can’t imagine the larger rocks would be pleasant. You can mix some up ahead of time and store it in a glass jar. Below should last you about 10 days. Just take about a 1/2to 3/4 teaspoon and put it under your tongue before you go to bed. You can also mix this in a bit of warm water and drink it if you like, but under the tongue helps it to be absorbed quickly by the body. You can also just adjust this recipe and make one dose at a time, up to you and your preference. Himalayan Sea Salt is Antimicrobial as well as Honey. Raw Honey never goes bad. I mix up enough to last me about a week and store it in a glass jar on my kitchen cabinet. I just pop a small spoonful in my mouth, mostly under my tongue and then just swallow it. If you have trouble getting to sleep or staying asleep, or just wake up with low energy, try this himalayan sea salt and honey mixture. When you get a good nights rest, we function better the next day. We have more energy, our brains are more alert and we have a better overall sense of well being in general. Imagine if you could start getting a good nights sleep naturally every night, how much better your life would be! 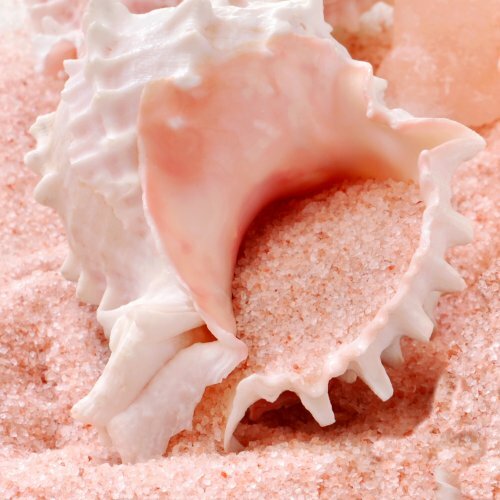 If you want to really incorporate Himalayan salt into your sleep routine, you can try a Himalayan Salt bath as well! I like to make this bedtime tonic of Himalayan Sea Salt and Honey in advance in batches. It is recommended to store it in a glass container. I am much more likely to not miss it at night if I already have it prepped as opposed to having to prep it right before bed. This little jars are perfect to store it in. Himalayan salt lamps are hygroscopic, meaning they absorb moisture from the air. It’s sort of like they sweat. So if you are wondering why your Himalayan salt lamp is leaking, this really is normal. It’s more common in climates with high humidity. When the lamp is not turned on of course there is no heat source to evaporate the moisture. 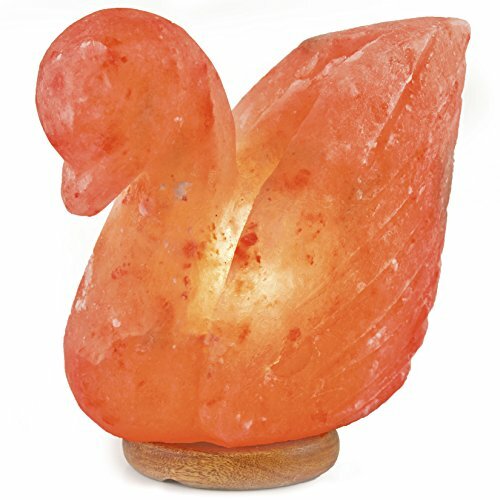 The moisture in the air is attracted to the surface of the salt lamp and it can cause pools of water to form at the base of the lamp. Common sense tell you this can damage furniture. My question to you is why do you switch it off in the first place? To get the benefits and improve you indoor air quality with a Himalayan salt lamp they need to be on 24/7. As long as they are on, Himalayan salt lamp leaking ceases to exist. It’s pretty common sense. The only time I switch mine of is if I leave town. I personally have never seen my salt lamp leaking and the climate here is pretty humid. 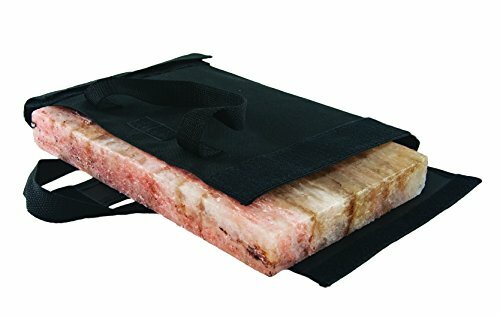 If yours is leaking when you turn it off, put a zip-lock bag over it to keep the moisture off of the surface of your salt lamp. Easy enough. I keep it turned on so now why is my Himalayan Salt Lamp leaking? Simple. Your lamp (it really is technically called a lamp, not a light bulb) wattage isn’t high enough. Many manufacturers ship these salt lamps with a 7 watt night light bulb. There is little heat in a 7 watt bulb. The heat is what helps evaporate the moisture. When I got my lamp, I didn’t use that silly little bulb in it. I replaced it with a 15 watt candelabra based bulb. You can find them at any big box store or hardware store. Higher wattage means better air purification. The tubular shaped bulbs fit most lamps perfectly! If you have a larger lamp, you can go up to 25 watts. The wattage really does depend on what size Himalayan salt lamp you choose. So if your Himalayan salt lamp is leaking, it’s because you aren’t using it for it’s intended purpose. Turn it on! These are the bulbs I use in all of my salt lamps. The standard night lights just don’t get warm enough to get ample benefits from the salt lamps. I have found that the 25 watt tubular bulbs are just perfect but aren’t that easy to find in most stores! If my salt lamp is leaking, is it an electrical hazard? If your salt lamp is leaking, it’s because it’s turned off. If it’s turned off, it’s not a big electrical hazard. I would certainly pull the bulb out of the salt lamp and make sure there is no moisture collected near any electrical connections before switching it back on. The same warnings that come with your hairdryer come with your salt lamp. Do not operate near water. 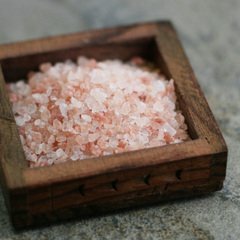 Is Himalayan Salt for Horses a better option than the usual processed salts that are usually given to them? Many horse lovers think so and swear that their horses prefer them. Salt is important for horses, this we do know. If you are into all natural, Himalayan salt for horses is the way to go. Why Does the Taste of Himalayan Salt for Horses Matter? Have you ever heard the saying “You can lead a horse to water, but you can’t make him drink”. Did you ever even wonder what that means? While horses are like us when it comes to water body content, being over 2/3 water, the similarities end there. As humans we get the “need” to drink pretty quickly when we become dehydrated. A horse, not so much. In a horses body, overheating is more urgent than dehydration. A horse loses a lot more sodium in his sweat than we humans. The result is he may lose 30 pounds or more of water with his natural body’s cooling system before he realizes he is even thirsty. Then he doesn’t feel good and doesn’t want to drink. Salt is like a trigger that makes the horse want to drink. If he prefers the taste of natural mined salt, which most horses do, he will be more likely to eat it. Then he naturally wants to drink. Horses can be picky and many outright reject the processed or mineral salts we typically feed them. They don’t lick or eat the salt, he won’t drink and rehydrate. Why Does My Horse Bite Chunks off of Himalayan Rock Salt for Horses. Salt rocks were originally intended for Cattle. Cows have rough tongues. Horses do not. If you horse is taking bites and chunks out of it, he most likely needs more of it. He may not be getting enough licking alone. A horse does have the ability to know what it’s body needs. If you only have salt available in the form of a salt lick, there is a chance he isn’t getting enough. You may want to add it to his diet in loose form. What’s is different about Himalayan Salt for Horses? Most salts you get for your horses is processed and kiln dried. It’s bleached and chemicals are added to prevent it from caking or clumping. 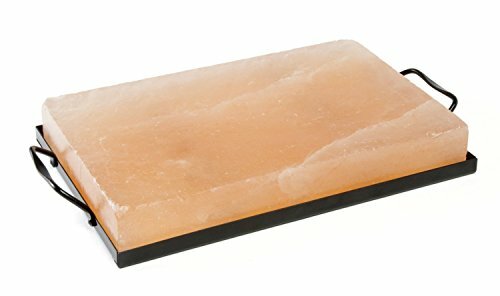 Himalayan salt is in a natural state and completely unprocessed. There are two places natural salt is mined and unprocessed. You can get salt mined from Utah (Redmond Minerals) or Himalayan salt mined in Pakistan. Both come in rock or granulated form and can be easily found and purchased from Amazon. I have super straight hair, as in not a bend in it. I have discovered that you can get beach waves for straight hair using a sea salt hairspray. You can buy this or you can do like I do and make it yourself. Those with curly hair have it easy. They can just spray a little sea salt hairspray in their hair, give it a scrunch and go. People like me with straight hair have to put in a little more work, but really, it’s not that hard. To get beach waves with straight hair, start with damp hair. I usually let mine air dry after washing. The I just mist it with my own sea salt spray that I made myself and wrap it up in a scrunchy and sleep with it up. I wake up the next morning, remove the scruchy and Ta Da! I have those beach waves going on! No need to even brush it. Just toss and go! Add about 1/2 teaspoon of sea salt. I use Himalayan sea salt! 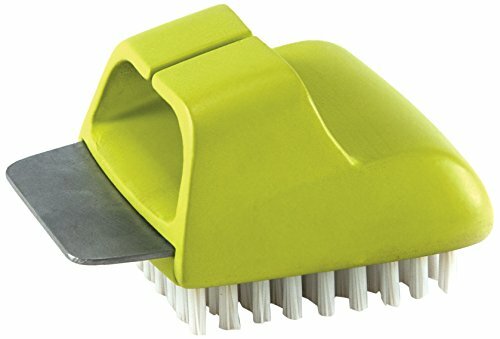 It’s all I use in my house! 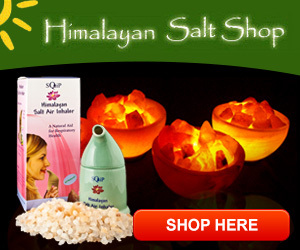 I get all of my Himalayan Salt products at the Himalayan Salt Shop here! *you can add a dab of conditioner or some liquid coconut oil if you have dry hair. Tutorial on Beach Waves for Straight Hair! If you don’t want to make your own sea salt hairspray for beach waves, you can always buy it already made.